To get up on an old roof will create a leak. We have seen the need to do a more thorough roof inspection. 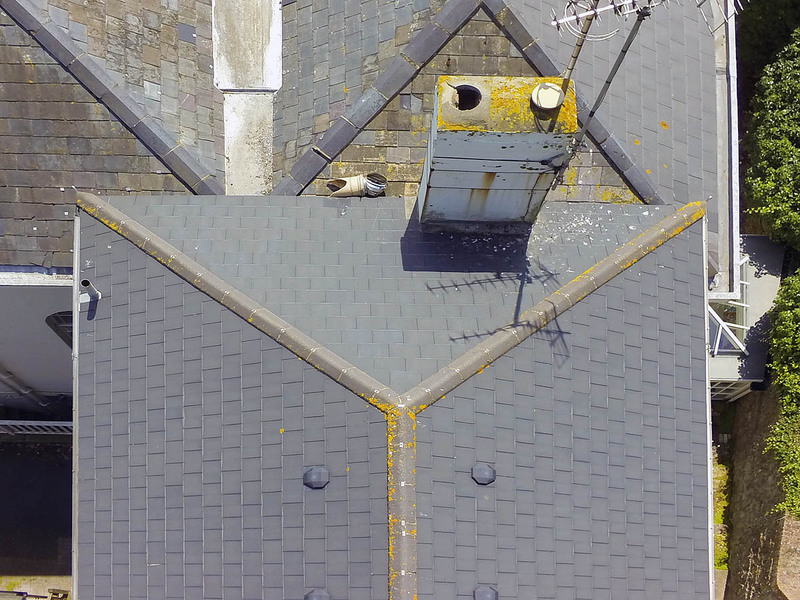 Why use a drone for roof inspections? need for roofers to be physically present on the rooftop during the roof inspection phase. Once the flight plan is in place, the inspection can be done much faster than a manual inspection. Drone roof inspection price is a fraction of the cost of manual, traditional inspections. All footage is geo-referenced with perfect accuracy. There is no danger of damage to the roof or the people doing the inspection. How long do inspection take? The speed of a drone inspection, from start to finish is amazing and infinitely faster than a manual inspection. Once the basic preparation is done, the inspection can take from 5 to 20 minutes depending on the degree of detail required and the size of the roof.